At the core of Bast Dental Clinic is a friendly team of professionals that are dedicated to your utmost comfort and optimal oral health. We view each patient as a unique individual, and tailor each treatment to your specific needs. Donna Lanni – received her Bachelor of Science degree from the University Of Maryland School Of Dental Hygiene in May of 1981. She came to Alaska searching for adventure in February 1983 and was immediately hooked on the land and its people. She is CPR certified and is licensed to administer both local anesthetics and nitrous oxide. She has appeared in schools, health fairs, and on the Midnight Sun Run dressed as the tooth fairy since the mid-1980s. 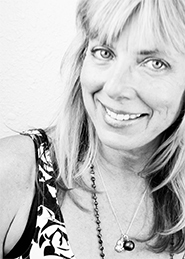 Out of the office, Donna can either be found on her yoga mat teaching at her own studio space (Heart Stream Yoga), studying Ayurveda and health related topics, whipping up crazy “hippy” food or cruising on her paddle board. She enjoys a rich and eclectic empty nested home life with her traveling husband, Ron: their blended family of 5 now reduced to 2 smiling dogs and 1 obnoxious parrot! Melissa – has been an Alaska resident since 1980. Her compassionate nature and love of science led her to pursue a career in dental hygiene, and she graduated from University of Anchorage in 2000 with a degree in that field. Melissa is Anesthesia and Nitrous Oxide certified, Cardiovascular Pulmonary Resuscitation and Automated External Defibrillator certified, Occupational Safety and Health Administrative trained, and attends many continuing education courses throughout the year. She has drawn to join the talented team at Bast Dental because of their excellence in dentistry, and strong focus on patient care. Melissa’s passion is working with patients to help them maintain optimal oral health, which in turn leads to an overall healthier lifestyle. Being able to share in the connection between caring for their mouth and their overall body health is wonderful. Connecting with people on so many levels – not just clinically – is what really makes her happy. Melissa enjoys many different activities outside of the office, but spending time with family and close friends is her favorite, and she treasures every moment she has with them! Christina – has been in Fairbanks for 29 years, and has worked for both Dr. John and Dr. Fred for the past 10 years. She married her high school sweetheart Andy, and together they have built a beautiful home and a beautiful family. Christina is currently working part time so that she can spend more time with her sons, Rylan and Brendan. Bekah – Bekah joined our team after spending 4 years working in public health. She enjoys spending time with her daughter, halibut fishing, and four-wheeling. Becky – has lived in Fairbanks since ’85 and is a graduate from UAF. She enjoys the outdoors, hunting, fishing and horseback riding. Also enjoys bowling and watching movies. Now that her two girls are grown she is able to do more of these activities with her husband. Nikki – is from Alabama. The military brought up the family a year ago and they love it here, looking forward to exploring more of Alaska. Outside of work Nikki enjoys spending time with her husband and kids, Levi and Marleigh.